映画「清須会議」で用いられた古地図の地球儀(古地球儀)の作製 - 株式会社ビーグルサイエンス | Beagle Science Corp.
Theatrum Orbis Terrarum (pronounced [tʰɛˈaːtrʊm ˈɔrbɪs tɛˈrːaːrʊm], "Theatre of the World") is considered to be the first true modern atlas. 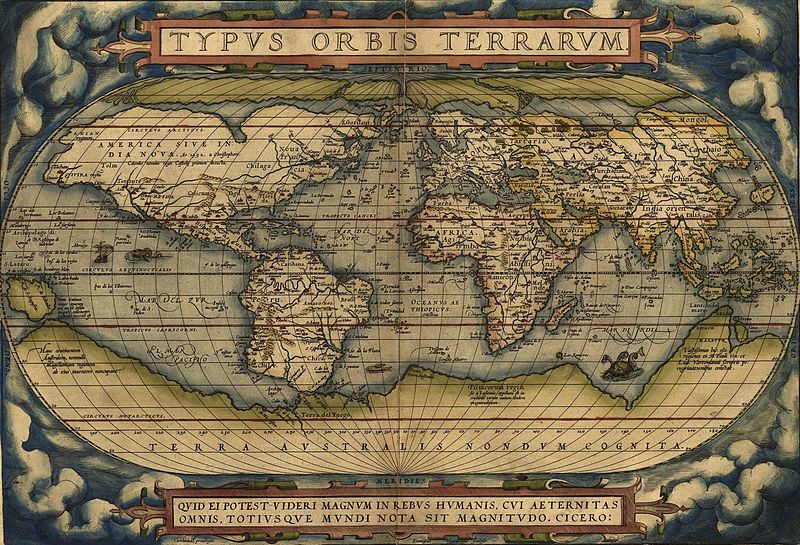 Written by Abraham Ortelius and originally printed on May 20, 1570, in Antwerp. © 2018 Beagle Science Corp.